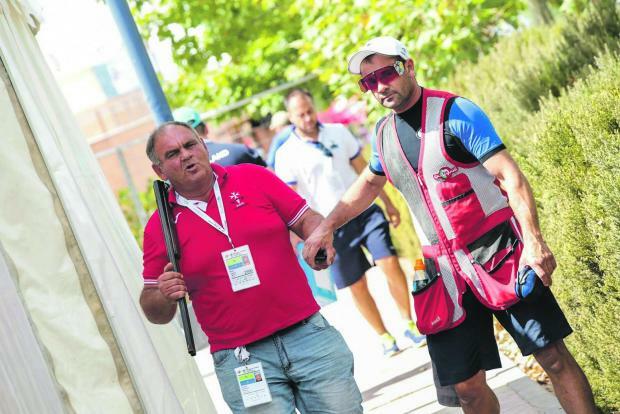 Brian Galea has enjoyed a fine start in the trap shooting competition after ending the first two qualifying rounds at the top in Gold Coast yesterday. Galea hit identical scores of 24 from 25 clays in the opening two rounds of the qualifiers to lead the leaderboard on 48 points alongside England’s Aaron Heading. Australia’s Mitchell Iles-Crevatin and Edward Ling, of England, are just one point behind. The trap competition resumes today when the 40 shooters in competition will be involved in the final three rounds of 25 that will decide the six shooters who will progress to the final. Adam Vella was also in action in the wrestling competition. Vella was competing in the Men’s Freestyle 65kg category and was handed a very difficult drawn when he was paired with Pakistan’s Abdul Wahab, a bronze medallist in the Commonwealth Championships held in Johannesburg last year. Wahab proved too strong for Vella as secured victory via superiority on technical points.